For reliable repair services that you can depend on, give us a call. Serving all of Chestermere 's quadrants. From physical damage to faulty electrical components, we’ll get you cooking with confidence again. A broken fridge can spoil more than your evening. Let us keep your food safe and your family fed! We’ll get your dishes clean, and we don’t mean by hand! Phoned for an appointment and Garrick had hard time locating address. Upon examining my fridge for short time he decided it was control board. He didn’t take it apart or diagnose problem. Just guessed. He gave me a huge quote on parts and labour. My fridge is only 3 years old. Decided to speak to manufacturer. They gave me free parts and I installed them as per suppliers directions. Despite charging me $80+ dollars Garriks diagnosis was wrong. Upon contacting him and explaining our circumstances Garrick he did not want to refund money or look at fridge again. I felt it was reasonable to ask for money back as he didn’t really do anything on his visit or diagnose the fridge correctly. 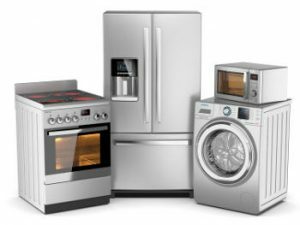 Before inviting us into your home or business, meet the technicians at TechVill Chestermere Appliance Repair Services. Learn more about us.